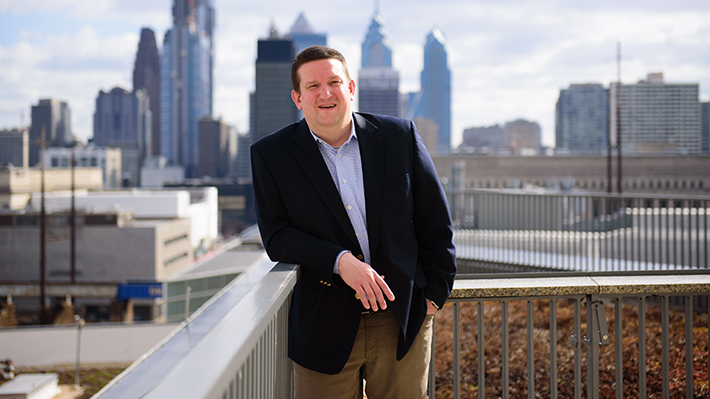 Jonathan C. Ziegert is an Associate Professor and Assistant Department Head in the Department of Management of the LeBow College of Business at Drexel University. His research and teaching focuses on influence processes in terms of leadership and negotiation mechanisms. Within the area of leadership, he examines how leadership is structured and carried out in team based contexts resulting in peer based influence processes. Within the area of negotiation, he examines how influence can be used to create value resulting in increased collaboration among team members. Jonathan has studied these issues in a variety of work settings including Fortune 500 companies, hospitals, banks, universities, volunteer service teams, and nonprofit settings. His work has been published in a number of journals including Administrative Science Quarterly, Journal of Applied Psychology, Journal of Management, and Organizational Behavior and Human Decision Processes. He received his Ph.D. in organizational psychology from the University of Maryland. Graham, Katrina, Dust, Scott, and Ziegert, Jonathan C., Supervisor-Employee Power Distance Incompatibility, Gender Similarity, and Relationship Conflict: A Test of Interpersonal Interaction Theory. Journal of Applied Psychology 103 (Mar 2018): 334-346. Dust, Scott, and Ziegert, Jonathan C., Multi-Leader Teams in Review: A Contingent-Configuration Perspective of Effectiveness. International Journal of Management Reviews 18 (Oct 2016): 518-541. Margolis, Jaclyn, and Ziegert, Jonathan C., The Vertical Flow of Collectivistic Leadership: An Examination of the Cascade of Visionary Leadership Across Levels. Leadership Quarterly 27 (Apr 2016): 334-348. Graham, Katrina, Ziegert, Jonathan C., and Capitano, Johnna, The effect of leadership style, framing, and promotion regulatory focus on unethical pro-organizational behavior. Journal of Business Ethics 126 (Feb 2015): 423-436. Ehrhart, K. E., Mayer, D M., and Ziegert, Jonathan C., Web-based recruitment in the millennial generation: Work-life balance, website usability, and organizational attraction. European Journal of Work and Organizational Psychology 21 (Nov 2012): 850-874. Dust, Scott, and Ziegert, Jonathan C., When and how are multiple leaders most effective? It’s complex. Industrial Organizational Perspectives 5 (Jun 2012): 421-424. Greenhaus, Jeffrey, Ziegert, Jonathan C., and Allen, Tammy D., When family-supportive supervision matters: Relations between multiple sources of support and work-family balance. Journal of Vocational Behavior 80 (Mar 2012): 266-275. Klein, K. J., Knight, A. P., Ziegert, Jonathan C., Lim, B. C., and Saltz, J. L., When team members’ values differ: The moderating effects of team leadership. Organizational Behavior and Human Decision Processes 114 (Jan 2011): 25-36. Ziegert, Jonathan C., and Hanges, P. J., Strong Rebuttal for Weak Criticisms. Journal of Applied Psychology 94 (May 2009): 590-597. Hanges, P. J., and Ziegert, Jonathan C., Stereotypes about Stereotypes. Industrial Organizational Perspectives 1 (Dec 2008): 36-38. Klein, K. J., Ziegert, Jonathan C., Knight, A. P., and Xiao, Y., Dynamic delegation: Shared, hierarchical, and deindividualized leadership in extreme action teams. Administrative Science Quarterly 51 (Dec 2006): 590-621. Ehrhart, K. E., and Ziegert, Jonathan C., Why are individuals attracted to organizations?. Journal of Management 31 (Dec 2005): 901-919. Ziegert, Jonathan C., and Hanges, P. J., Employment discrimination: The role of implicit attitudes, motivation, and a climate for racial bias. Journal of Applied Psychology 90 (May 2005): 553-562. McFarland, L. A., Lev-Arey, D. M., and Ziegert, Jonathan C., An examination of stereotype threat in a motivational context. Human Performance (Sep 2003): 181-205. Ployhart, R. E., Ziegert, Jonathan C., and McFarland, L. A., Understanding racial differences on cognitive ability tests in selection context: An integration of stereotype threat and applicant reactions research. Human Performance 16 (Sep 2003): 231-259. Schneider, B., Godfrey, E. G., Hayes, S. C., Huang, M, Lim, B. L., Nishii, L H., Raver, J L., and Ziegert, Jonathan C., The human side of strategy: Employee experiences of strategic alignment in a service organization. Organizational Dynamics 32 (Mar 2003): 122-141. Trying to hire the best and brightest between the ages of 21 and 31? Your website better convey both style and substance, associate professor of management Jonathan Ziegert says.